“6. It is clear, from a historical point of view, that Muhammad, as a youth participated in worshipping all the 360 pagan gods in the Kabah in Mecca which was owned and operated by the Quraish tribe to which Muhammad was member in good standing. As Muhammad grew up, he was influenced by Christians (monotheists) who condemned the polytheism at the Kabah. At some point in Muhammad’s life, he was convinced by the Christians that Polytheism was wrong and sought to reject the 360 pagan gods he had grown up with. Muhammad was converted to the concept of monotheism through the influence and teachings of Christians. Being a proud “nationalistic cultural Arab”, bent on preserving his traditions, Muhammad, decided to “reform” his native pagan religion, rather than adopt a completely different religion like Christianity. Muhammad took the top pagan god of the Kabah in Mecca (called Hubal Allah) and chose it to be his new monotheistic god. This god was already considered the top god among other gods at the Kabah. “5. 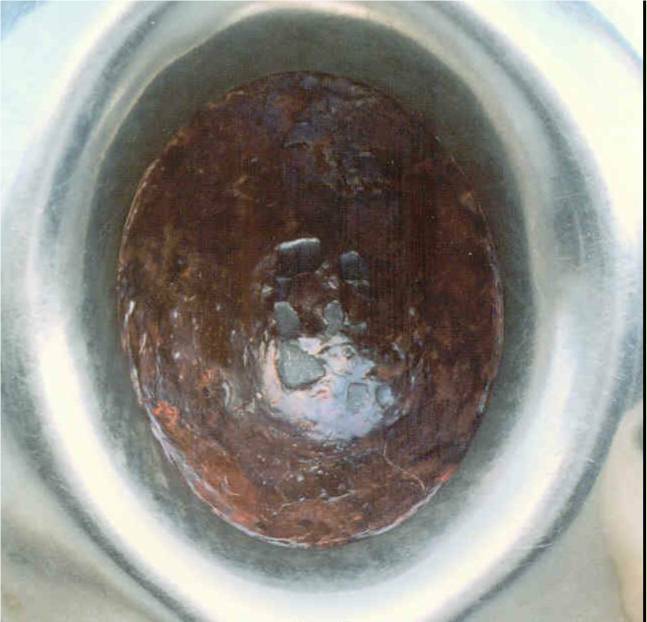 The center of focus of the Kabah that Muslims circle 7 times counterclockwise once a year during the Hajj, is a meteorite called the black stone. This meteorite is the reference point by which they count the 7 revolutions (tawaf). It is the “zero” marker. Is God Judging Indonesia and Pakistan? It is still hard for me to wrap my mind around the idea that God is a God of judgment. After all, my relationship with Him has been as a child with a patient, loving, merciful father. He protects me, and provides for me. He is my constant companion and friend. Yet, the Scriptures admonish us not to present Him as being only a God of Love. In His own words, He is a God of love and judgment. To His friends, He demonstrates love, patience, goodness, peace, kindness and gentleness. But to His enemies, He is a consuming fire. Upon His enemies, He visits judgment. None of us is born an enemy of God. We choose to be His enemies, by setting our minds and hearts in opposition to Him, and in opposition to truth. It is our own attitudes and actions that separate us from God. Yet, even then, He holds out His arms to us in forgiveness and reconciliation. But when we continue to reject Him, and live in opposition to Him, we invite judgment upon ourselves. When people say things like the things I am about to say, many people close their hearts and make accusations about the speaker’s motives and character. You can say what you want about me. I have never been popular, so it really doesn’t matter. But, in the hopes that you won’t close your heart, but will listen and understand the message I hope to convey, I will take a little time to qualify my comments. Sometimes it is really easy for me to look at people and feel they are deserving of judgment. Some people are so vile and corrupt . . . others are so evil, that it seems they really merit judgment–and soon! I can feel this way about people I spend time around, or the culture that surrounds me. However, I have no intimate understanding of people in other places or cultures. I have no opinion as to whether their lifestyles merit judgment, because I have no idea how they live. So, when I question whether God is judging a nation somewhere, it is not because I feel they should be judged. I really have no opinion in the matter, because I am not acquainted with them. It has really caught my attention, over the last couple of years, that Indonesia is suffering one catastrophe after another. They are constantly being hit with earthquakes–the most recent being a 7.7 magnitude quake a couple of days ago. And I have thought–could God’s judgment be upon Indonesia? And I have wondered–don’t they have a large Islamic population? If they do, and if they are suffering God’s judgment–could it be because of their practice of Islam? Islam worships a false god–an idol. Allah is a false god. He is not the same being as the Jews and Christians worship (Jehovah, The Creator). God’s first commandment for His people is that they have no other gods before Him. Could it be that it is His first rule because it is the one that matters to Him the most? Allah is not just a false god, he is a false god that claims he is the God of gods–the supreme God!! This is a case of stealing the identity of the Most High God and destroying His reputation by the abominable things that the imposter says and does! 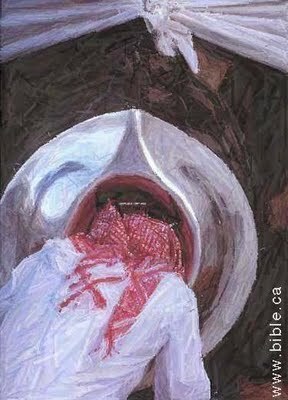 Islam is an abomination! Could it be that the practice of this abomination, and the worship of this imposter (Allah), is enough to make God angry enough to pour out judgment–desolation?–on those nations that practice it? 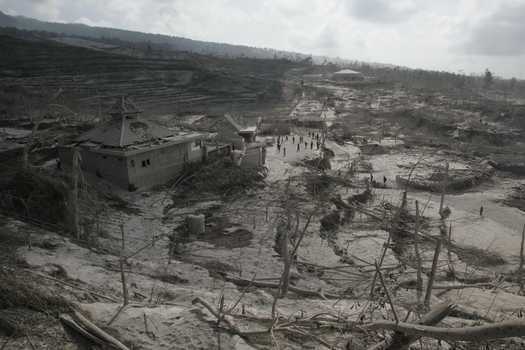 Today, Indonesia was hit with a tsunami and a volcanic eruption–within hours of each other! Tsunamis scour the ground and sweep away everything in their path. Is this not desolation? Volcanoes can scour the ground with an eruption of hot gases, or cover the ground with ash, lava, or mudslides, obliterating everything in the eruption’s path. Is this not desolation? And yes, as it turns out, Indonesia does have a large Islamic population–the largest in the world! Over 170 million, according to adherents.com. Right behind them, in second place, is Pakistan, with 136 million Muslims. What has been happening in Pakistan lately? 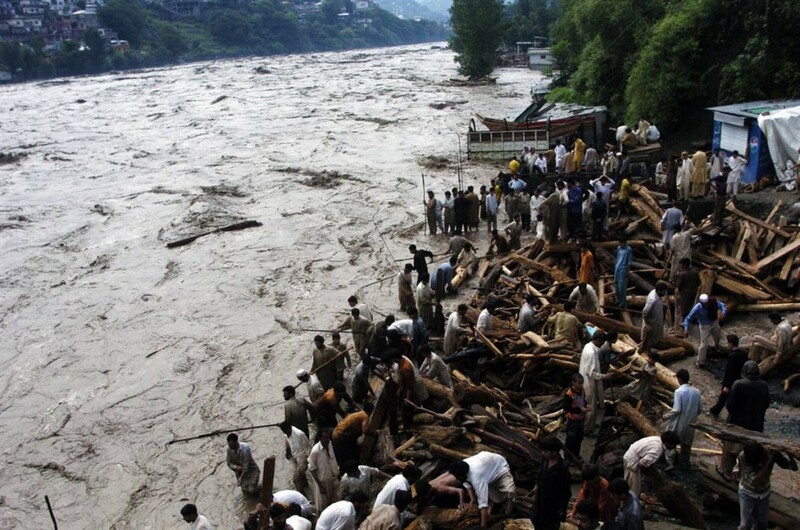 Massive flooding, destruction of roads, buildings, farmlands and homes. Millions whose homes were damaged or destroyed are struggling financially as they try to rebuild. The national economy, must be virtually destroyed–before the floods it was built on billions of dollars of international loans. 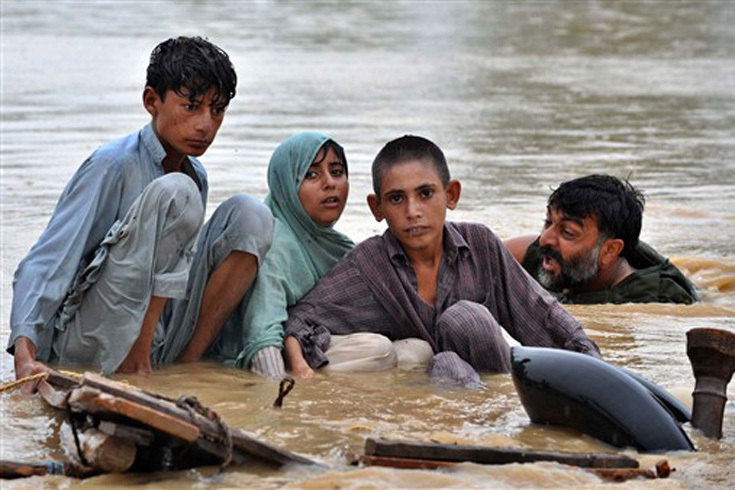 Almost 6 million acres of farmland were damaged (farming is the basis of Pakistan’s economy). Is this not desolation? I am not certain that any of these events are God’s judgment–but I think they could be. IF the events in Indonesia and Pakistan are God’s judgments on nations that practice Islam, then my own (human) prediction/opinion is that Bangladesh and India might be next in line for major catastrophes. It doesn’t seem like God would suspend judgment upon a country if only His people there repent, but there is precedent for this. We know that when Abraham plead with God for mercy on the righteous people in Sodom, that God was willing to spare all the extremely wicked, vile inhabitants of the city if there were just ten righteous among them. I also am reminded of Elijah’s showdown with the prophets of Baal. The reason it comes to mind is that there seemed to be a question, among God’s people, as to who was really God–so Elijah put them to the test. I think we face a similar situation today. My opinion is that if God is visiting judgment upon a country, and His people there would repent, and humble themselves, and pray, and seek His face, and turn from THEIR wicked ways–people would be watching. It would be a showdown, of sorts. And I believe, as He did before Elijah and the prohets of Baal, that God would show Himself to be God by (forgiving His people and) healing their land. Our gods are not the same! Allah is not Jehovah! If the Lord is God, follow Him; but if Allah is God, follow him! 4.” “What are the highest values in Christian faith? Love, sacrifice, humility, and compassion for others, which includes longsuffering. What are the highest values in Islam? The highest is fighting for Allah especially if you die in the process. As far as an ordinary Muslim is concerned, his highest value is doubtless going to Paradise and enjoying all the sensual delights promised to him. Although virtues are of importance in Islam, you never hear that love or patience, longsuffering or goodness, or faithfulness or truthfulness are of the highest value. Prayer and good works in keeping the Five Pillars are most important. Prayer and good works are very important in Christianity also, but they are a means to an end, not the end in itself. The Bible teaches us that all the qualities of love are the top priority in a Christian’s life because this mirrors the character of God (1 Cor 13:1-7). What is the Islamists’ highest goal? It is without doubt to be martyred in a physical battle for Allah in extending his sovereignty or the rule of his law on the Earth. “3. Christianity is the religion where God sends His own son to die for you. Islam is the religion where Allah [requires your son] to die for him. Jesus said love your enemies. Muhammad said murder your enemies with a bloody sword. But, Don’t We All Worship The Same God . . . ? But don’t Jews, Christians and muslims all worship the same God? NO!!! And this is the very basis of our differences! There is NO common ground between islam and Judaism, or islam and Christianity! Christianity has Judaism as its foundation, and we worship the same God. (After all, Jesus Christ is our Jewish Messiah!!) But the god of islam is not the God of Jews and Christians. 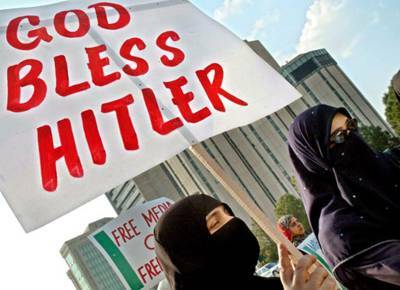 Indeed, the muslim god ‘allah’ would be proud of hitler! But it should go without saying, that a god who could be called upon to bless hitler for his atrocities towards the Jews, is not the God worshiped by Christians and Jews–not the God that claimed them as His people and made a covenant with them that He sealed with HIS own blood! And, lest you think this is just a few people, or a recent phenomenon, consider this . . . In today’s Middle East, admiration for hitler still goes hand in hand with muslim hatred towards Jews.